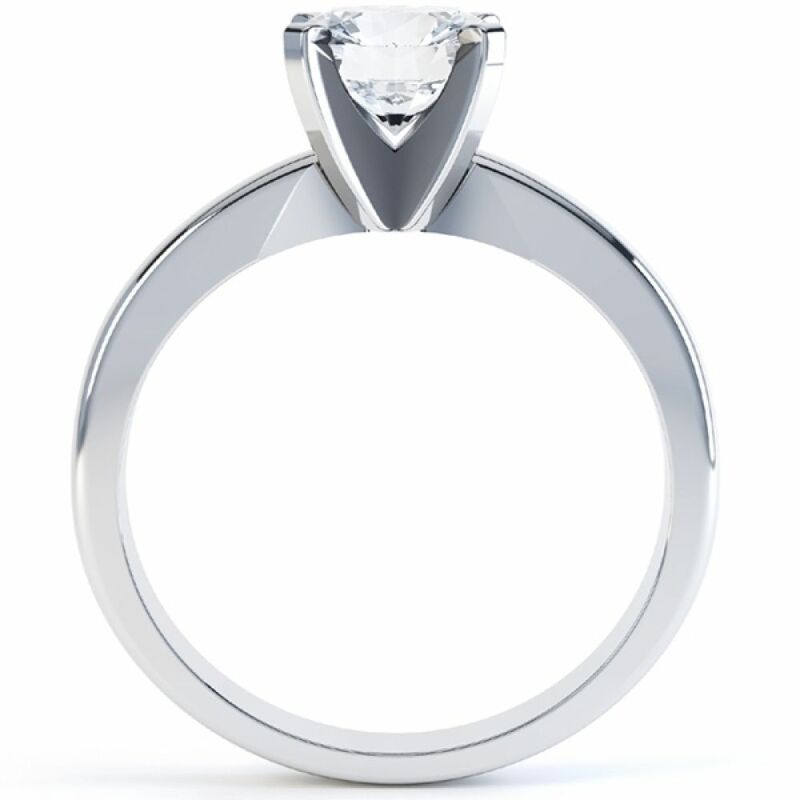 0.43cts 4 claw certified diamond engagement ring, holding a round brilliant cut diamond above tapering shoulders. Classic four claw setting holding a 0.43ct Round Brilliant cut Diamond, measuring 4.83 - 4.86 x 2.99mm giving the look of a 0.50ct Diamond, without the cost. The Diamond has been graded E Colour, VS2 Clarity by the International Gemological Institute, with the added bonus of an excellent cut grade. This minimal setting allows the light to flood through, enhancing the already very white brilliant Diamond to it's absolute best. 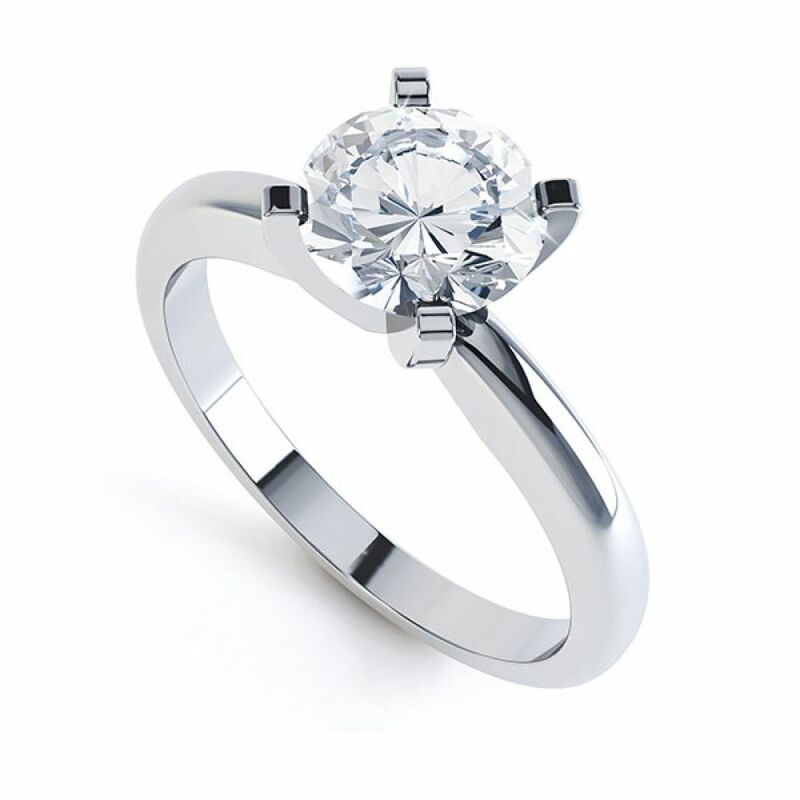 Simple yet stunning engagement ring. 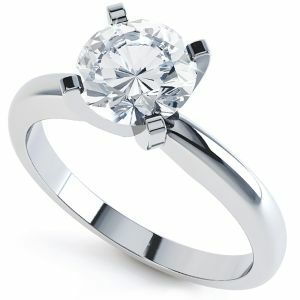 Available in 18ct White Gold or 950 Platinum in a variety of finger size. Comes gift packed in our bespoke packaging and can be delivered to your door in around 3 weeks.